Send an email to all subscribers who opened or clicked a specific campaign or who opened or clicked within a time period. 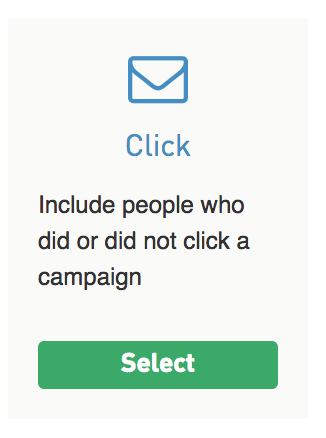 You can also modify the criteria to send to all subscribers who did not open or did not click a specific campaign. We'll review how to segment your list by events like opens and clicks. Send an email to subscribers who have opened or clicked a specific email campaign. Or send to subscribers who did not open a previous email. 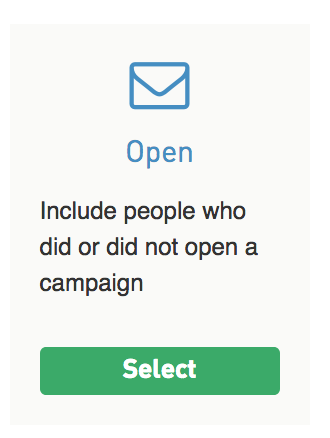 Send an email to all subscribers who opened or did not open a specific Campaign or within a specific time period. 1. Set up your Email Campaign. 2. Under the Subscribers tab, select or import your list. 3. 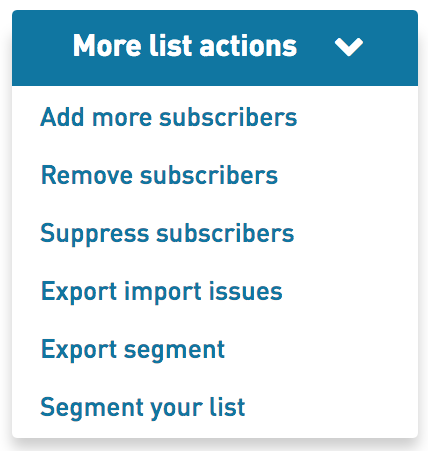 On the List Summary page, select More List Actions > Segment Your List. 4. Select Create new segment. 5. Select Add activity for your segment. 7. Further define your segment from the available dropdowns. For the example above, the segment would include subscribers who did open a specific sent campaign from a specific date in the past. For the example above, the segment would include subscribers who did NOT open a specific sent campaign from a specific date in the past. 8. Select Add to Segment. 9. Select Apply to List. Quick Tip: Name your links under Campaign > Testing > Full Review so that the next time you segment you can select links easily by name. For the example above, the segment would include subscribers who did click a specific sent campaign from a date in the past. For the example above, the segment would include subscribers who did NOT click a specific sent campaign from a date in the past.